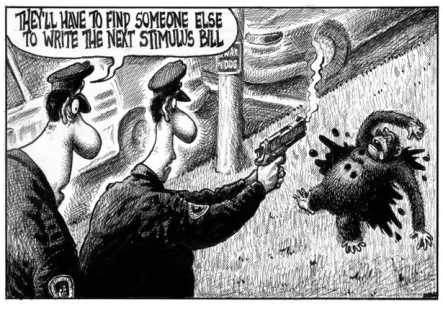 First it was Sean Delonas and his cartooned allusions to President Obama in the New York Post. Now it's something with the "Cuddle with Me" line of plush dolls. 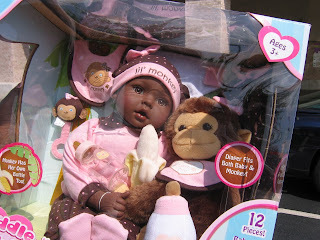 Wasn't there at least one person at the company who thought that there might be something wrong with pairing an African American doll with a chimp and calling her "lil' monkey"? Much thanks to Gallery watcher, Sarah Gibson, who alerted me to this lil' piece of American culture. Maybe we shouldn't take it too seriously. But the image is disturbing on many levels.